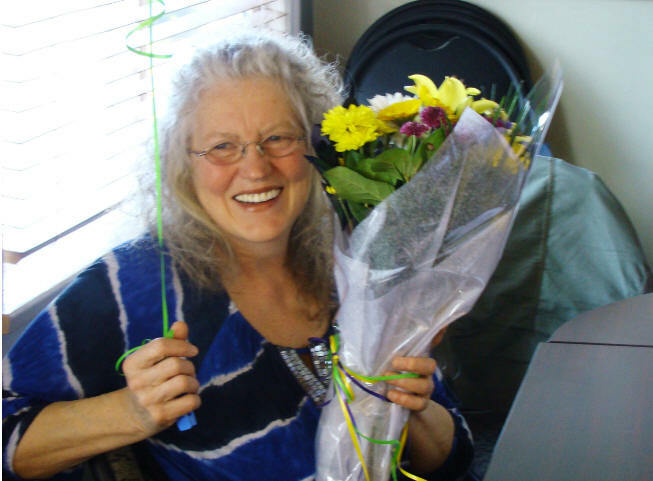 oroptimist International of Chilliwack is proud to announce the 2015 Woman of the year. 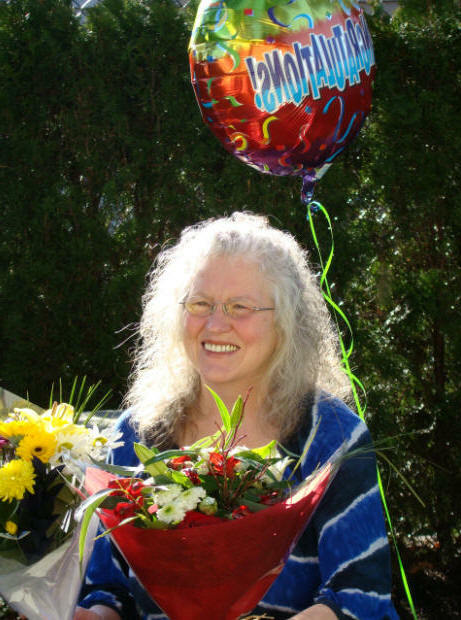 On March 16, members of the Soroptimist Club of Chilliwack surprised the 2015 Woman of the Year and informed her that she was this year’s winner. Hospice director Lucy Fraser holds a bouquet of flowers presented to her after being told she was named Soroptimists International of Chilliwack Woman of the Year. The awards Ceremony featuring the 2015 Woman of the Year, Lucy Fraser, will be held on April 22, 2015. The location will be City of Chilliwack Council Chambers, 8550 Young Road. The event will begin at 6:30 p.m., with a welcome reception and the Presentation Ceremony will commence at 7:00 p.m. There is no charge for admission. “Everyone is invited and encouraged to attend this Ceremony," said Anita Rogers, Chair of the Award Ceremony Committee. Soroptimist International of Chilliwack will also be honouring the Live your Dream Award winners and Violet Richardson Award winner. For more information about Soroptimists International of Chilliwack, visit www.chilliwacksoroptimist.info or connect on Facebook here.